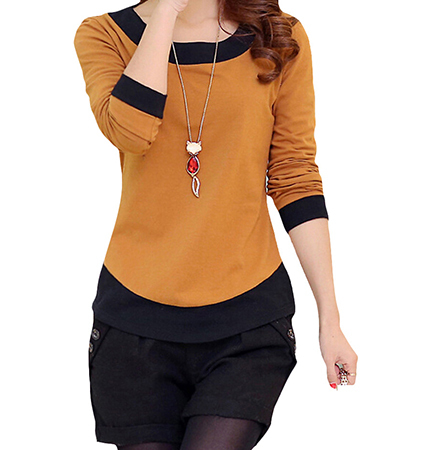 Every woman knows the importance of stocking her wardrobe with high quality, basic staples, and that is exactly what this women’s casual shirt is. Constructed from comfortable and durable cotton, this shirt is available in your color choice of orange, light green, light brown, or blue. Each shirt features contrasting black trim at the collar, cuffs, and hemline. The trim at the shirt’s hemline features a subtle curve, which is designed to accentuate your hips and waistline. This shirt is available in sizes small through 2XL and can be safely machine washed.